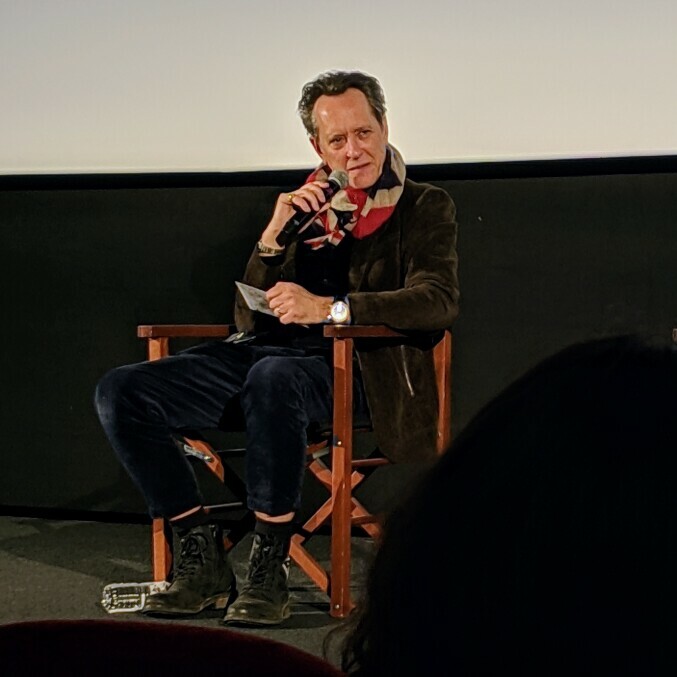 Richard E. Grant is, in conversation, as affably charming as you might expect, garrulously spilling forth anecdotes but always to praise others rather than himself. 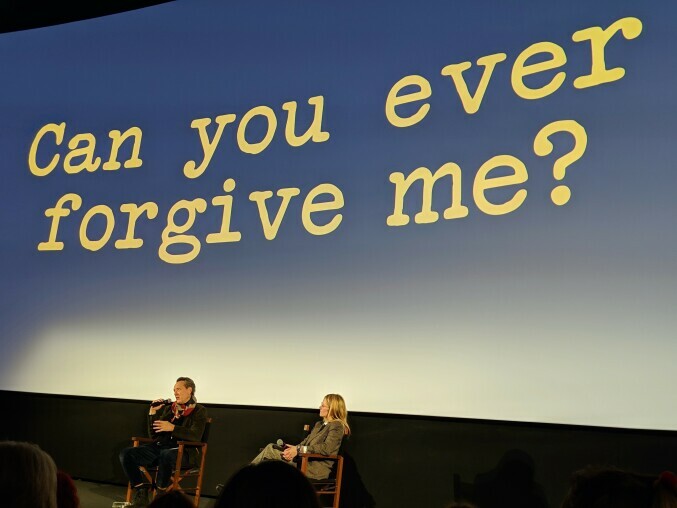 He was visibly excited yet humbly grateful at his Academy Award nomination earlier in the day, for the performance that had just been screened in Can You Ever Forgive Me? He describes the project’s success, for which he has already received twenty-odd awards, as the culmination of many pieces falling into place. He was drawn to it by scriptwriter Jeff Whitty (who wrote Avenue Q) and director Marielle Heller (for Diary of a Teenage Girl). His only concern was whether this would be a vehicle for Melissa McCarthy’s comedy, fears that were allayed over a two-hour planning lunch with her (there was otherwise no rehearsal before filming began). Grant realised McCarthy had not seen Withnail and I when she complimented with some surprise his ability to act drunk. Whilst he acknowledges comparison between the performances is inevitable “when you play two alcoholics in period coats”, he is glad that the roles were thirty years apart and was not consciously channelling anything of Withnail. That may come as a slightly surprise given that he plays Portland-born Jack Hock as English, but this was a directorial choice rather than his own (in fact an earlier, failed incarnation of the project had Chris O’Dowd cast in the role). Having come off what he described as the “Testostoworld” (coming soon to theatres) of Logan‘s massive, male-dominated set, he loved the intimacy of a small picture with rarely more than three people conversing in a scene and predominantly female crew. That is not to say he dislikes working on big movies: he is enthusiastic about appearing in Star Wars at the end of the year, although he perhaps misread the room a little when looking for excitement at JJ Abrams directing. When asked what convinces him to take on a role, Grant prefaces his response by noting with self-deprecation that he appeared in Spice World: The Movie. Like the plethora of British talent to appear in the film, he was instructed to take the role by a family member, as his daughter wanted to meet the Spice Girls. I wonder how many others are, like him, finding on the flip-side that it now opens doors with younger talent like Lena Dunham who wrote him into Girls because of that movie. He reminisced about acting alongside Daniel Day-Lewis in The Age of Innocence, joking that he prostrated himself in thanks that the legendary actor had turned down the role of Withnail, thus providing Grant with a career. After the first day, however, Day-Lewis blanked him on set, and it took Michelle Pfeiffer to explain that the method actor would continue this throughout shooting since their characters disliked one another. He finally broke character on Grant’s final day of shooting to envelop him in a hug and tell him it had been an honour working together. Which understandably, after weeks of being ignored, simply felt surreal. I could not say unequivocally whether Jack Hock is Grant’s best performance, but when a long-serving character actor finally receives that elusive recognition, it is hard not to root for him to win.